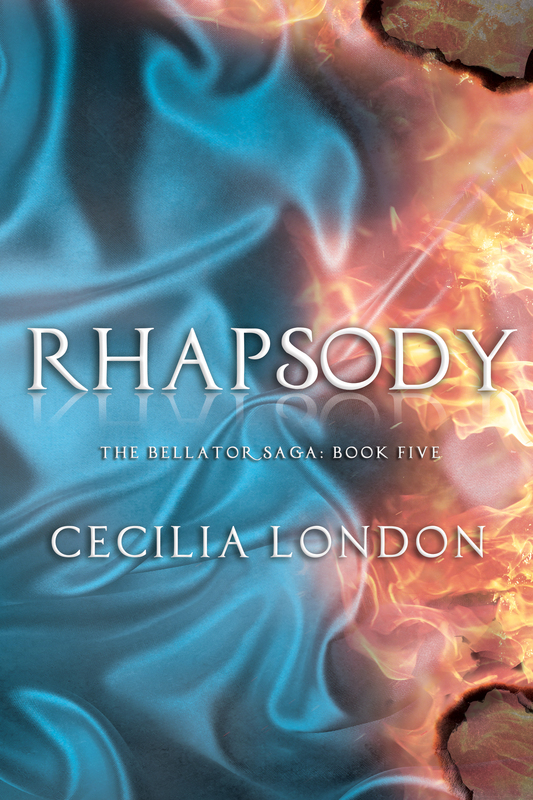 I am a MASSIVE Bellator Saga fangirl (seriously - just read any of my reviews for the books in the series...) and I am so excited to take part in the release blitz for Book Five in the series! 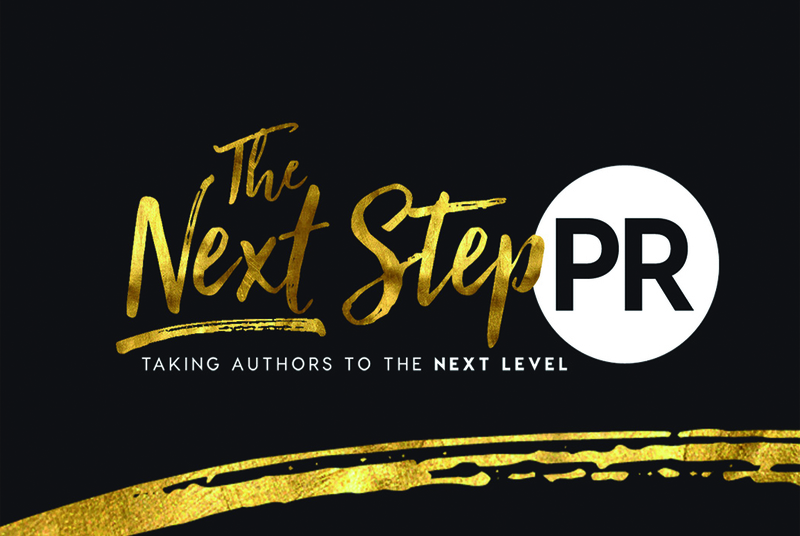 You may have seen I posted my review a few weeks ago and now you can get a copy of the book! 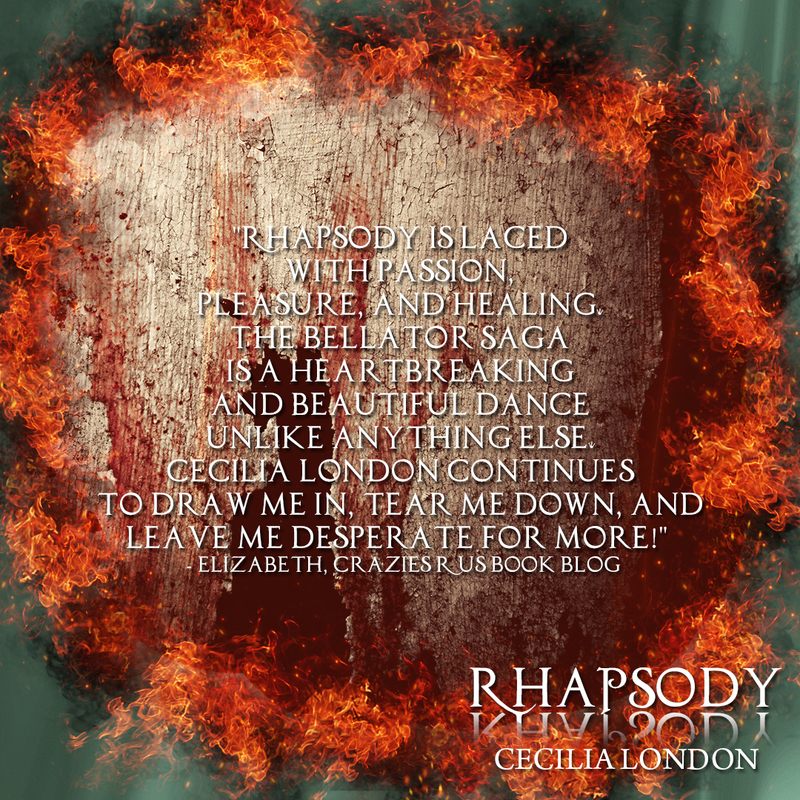 Rhapsody stripped me down, made me cry and then built me back up again. The ending gave me hope. SO. MUCH. HOPE. This book. These characters. I LOVED this book. I cannot even adequately put into words my love for Rhapsody and its characters. For Jack and Caroline. For Gig, Crunch and Jones. For Natalie! 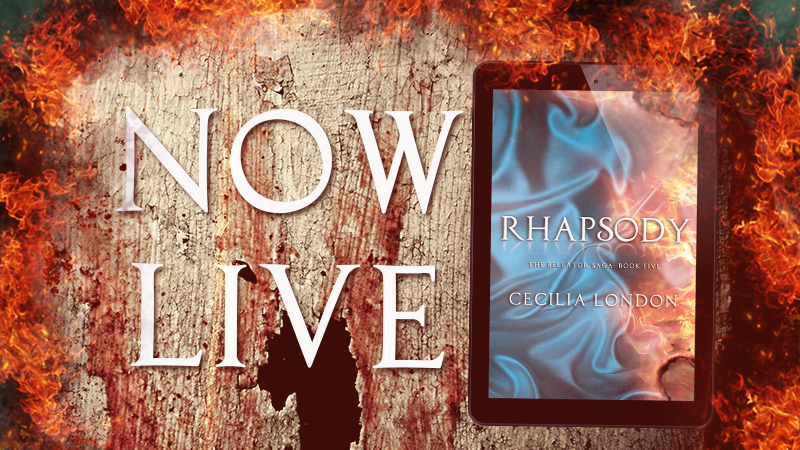 Now, the last book ended in an evil, evil cliffhanger which I don't think I have forgiven Cecilia for just yet but Rhapsody went some way in making up for it! So, when Rhapsody opens, we find out the outcome of the event the last book ended with (see reference to evil cliffhanger above). Now if you've read this series you know what a bad place Caroline is in and how she has pushed Jack away. I honestly couldn't see a way out for them and then along comes Rhapsody. Because Jack is Jack he manages, in a way he only can, to get Caroline to stay with him and she still pushes. At the start of the book I had so much hope but nope, it was going to be a tough ride but I had faith Cecilia would come through in the end. And boy did she! There is one utterly gut-wrenching scene between the pair of them that killed me and made me want to put my kindle in the freezer. It was so heartbreaking to read, especially when you think of the woman Caroline was at the start of this series, but it needed to happen and it brought these two back together. And let's just take a moment to talk about their reunion. Best. Reunion. Ever. That man! Seriously?! Can I just have Jack for myself?! Jack is the perfect book boyfriend and I love him. Rhapsody to me is the most healing of the series. It is all about Caroline and Jack. In fact, most of the book is exchanges between the two of them and I loved that. We needed it, they have both been through so much that they aren't the same people we first met and, seeing them getting to know each other again, let us get to know them again. We saw them rubbed raw and exposed. We saw their hurt and pain but most importantly we saw them face their fears, together, and come out the other side. But don't worry Jones, Gig and Crunch still make an appearance and they are as awesome as ever and Natalie is still there too. I really love her and how she's there for both of them. She really helps them both and is incredibly sweet to Caroline in this book. "I'm sorry. The revolution has to be postponed because the commander is too busy banging his wife"
And trust me, at one point, it really does seem the case! Despite the healing in this installment, the pain is still there and very much present except Jack helps Caroline fight the waves and pull through. Jack has the odd moment too and Caroline is there for him just as much too. Now if you know Cecilia you know she loves cliffhangers. I have hated every cliffhanger and this one I hated but for a different reason, it's dangling the one thing Jack and Caroline both want more than anything right there. I need to know!